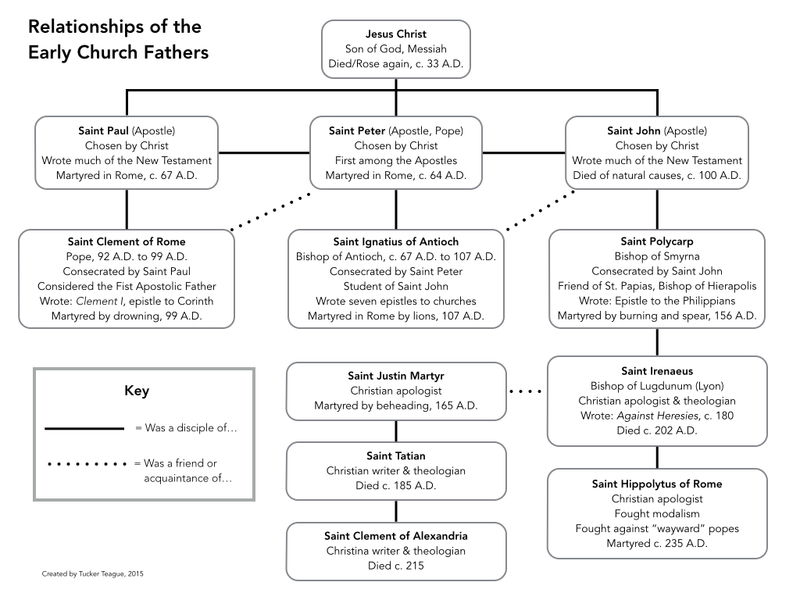 Thank you for creating that chart of early church fathers! I have been unable to find the answer to a question that you may be able to answer: WHO killed Clement, Ignatius, Polycarp, Justin and Hipplytus (the early church fathers who were martyred)? Where else might I find that information? Vanessa, thanks for you comments. I don’t know the details of any of their martyrdoms, except what I can find on wikipedia. Much of the info there looks apocryphal or traditional rather than hard facts, which I would somewhat expect. But that may be a place to begin your search.